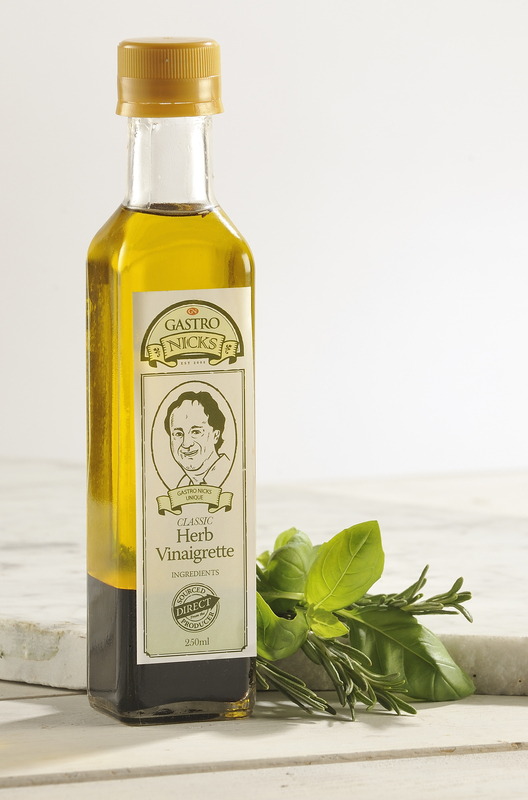 A subtly herby vinaigrette with a rosemary oil base, basil and garlic. Handmade, free from additives, preservatives or emulsifiers. Herb Vinaigrette, a subtle dressing with the addition of Rosemary and Garlic for everyday salads. Made with white and dark Balsamic vinegars from Modena. Try with a cold meat salad, as a marinade for chicken, lamb or fresh tuna.